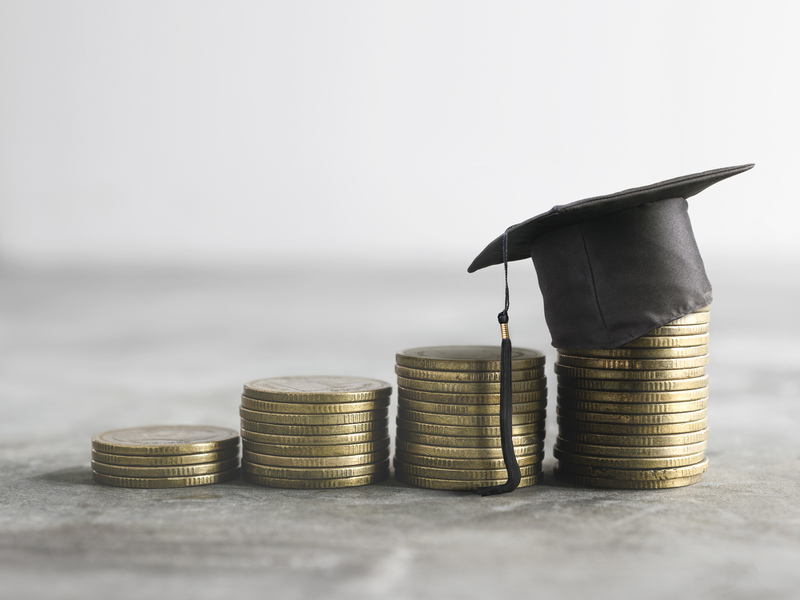 Although financial aid can certainly help cover your child’s college costs, beware of too many student loans, which can financially cripple students for years after college. A detailed analysis of the formula is beyond the scope of this article, but generally here’s how it works: (1) parent income is counted up to 47% (income equals adjusted gross income or AGI plus untaxed income/benefits minus certain deductions); (2) student income is counted at 50% over a certain amount ($6,570 for the 2018/19 school year); (3) parent assets are counted at 5.6% (home equity, retirement assets, cash value life insurance, and annuities are excluded); and (4) student assets are counted at 20%. The best way to file the FAFSA is online at fafsa.ed.gov. To do so, you and your child will each need to obtain an FSA ID, which you can also do online. Direct Stafford Loan – The most common student loan for college and graduate students. For undergraduate students, the interest rate is currently fixed at 5.045% for loans disbursed July 1, 2018 through June 30, 2019, and 6.595% for graduate students. Perkins Loan – A student loan for college and graduate students with the greatest financial need. The interest rate is currently fixed at 5%. Direct PLUS Loan – An education loan for parents of college students and independent graduate students. A separate application is required, though filing the FAFSA first is a prerequisite. Parents can borrow the full cost of their child’s education, minus any financial aid received; the only criteria is a good credit history. The interest rate is currently fixed at 7.595% for loans disbursed July 1, 2018 through June 30, 2019. Pell Grant – A Pell Grant is available only to undergraduates with exceptional financial need. IMPORTANT DISCLOSURES Broadridge Investor Communication Solutions, Inc. does not provide investment, tax, legal, or retirement advice or recommendations. The information presented here is not specific to any individual’s personal circumstances. To the extent that this material concerns tax matters, it is not intended or written to be used, and cannot be used, by a taxpayer for the purpose of avoiding penalties that may be imposed by law. Each taxpayer should seek independent advice from a tax professional based on his or her individual circumstances. These materials are provided for general information and educational purposes based upon publicly available information from sources believed to be reliable — we cannot assure the accuracy or completeness of these materials. The information in these materials may change at any time and without notice.